Kids: Book Review "Hey Duggee". For all of you with little ones in the UK, it's the summer holidays, and for those of you like me (not the worlds most natural mother) you're probably coming to the end of your wits now! 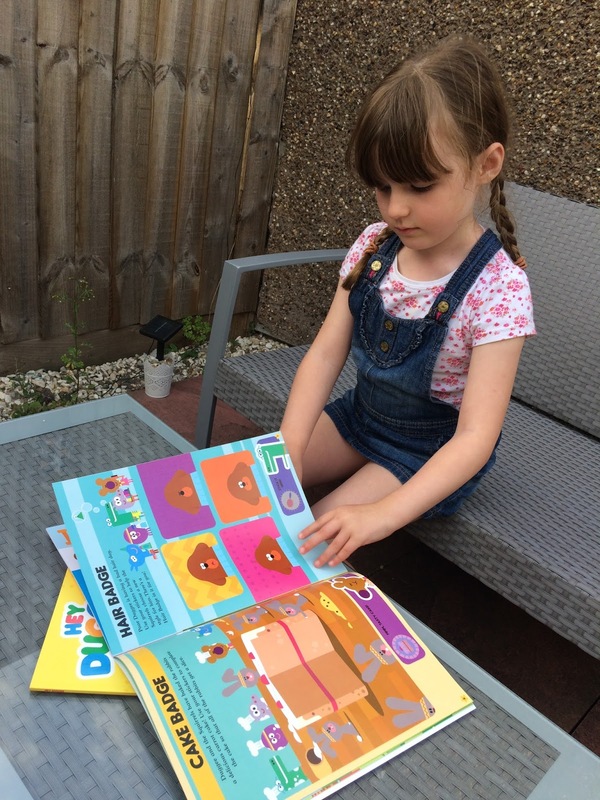 So when the lovely folk at Ladybird books sent us the new Hey Duggee books we were both excited! First aired on CBeebies in January of this year, Hey Duggee has been a big hit in our household. 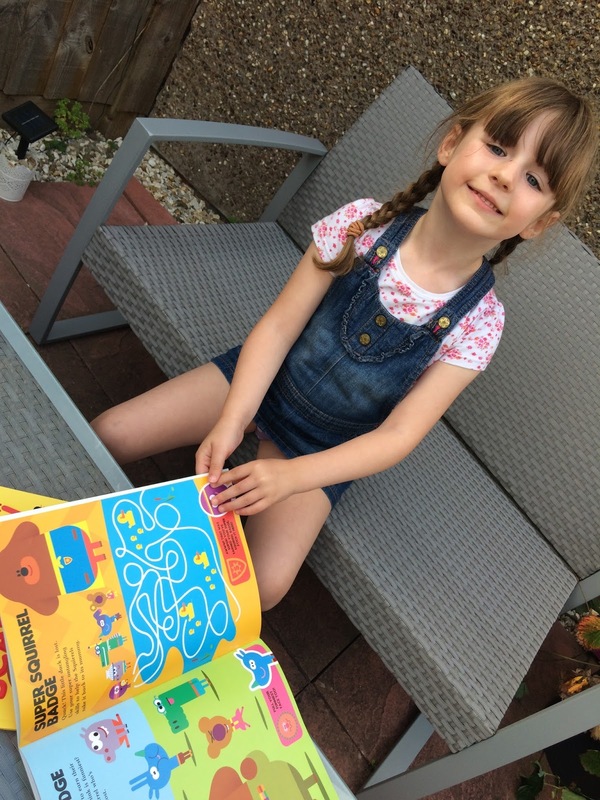 The book, just like the series feature big, bold illustrations tracking he adventures of Duggee and the Squirrel club. Now, I could go on to write a lengthy blog post extolling the virutes of a childs book, but, who better to explain what it's really all about than my little babba. Introducing Poppy (aged 5).